..i actually managed to crochet!! ..a few weeks ago i attended a lesson on how to crochet..i thought our creative teacher was SO patient..i am a terribly slow learner but with her patience(she also sent us all a step by step “how to” print out) and a couple of days of “I’m never going to get it”..I have managed to create a few “granny squares” that actually look ok!! Can i say that the wool came from poundland..but there are some amazing wool shops out there to visit. Could everyone tell me their favorite wool shop (here and across the world would be great.. 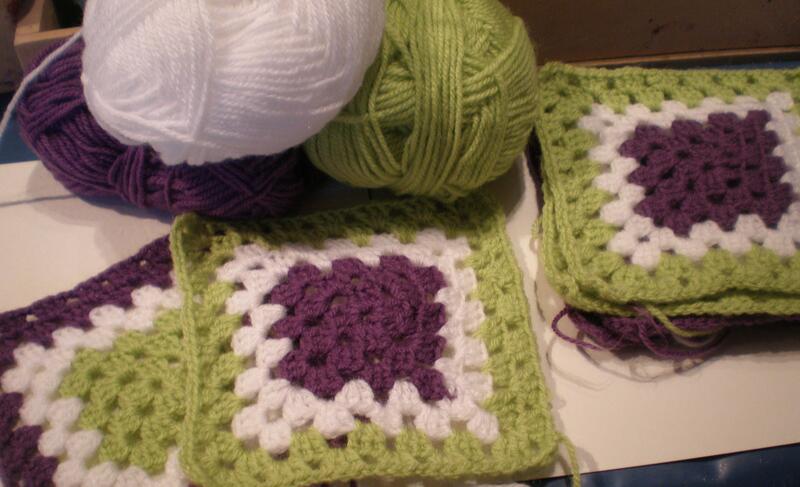 Categories: Wool Crafts | Tags: crochet, luciethehappyquilter, wool | Permalink.